Spa, in Belgium, is the original watering hole for those looking for curative waters. Although other destinations have since become known for their waters, Spa remains the original. Since the 18th century the town has also been known for its casinos. The idea of having a gaming hall to entertain the often aristocratic visitors to the town was then borrowed and reproduced throughout the world. The Casino de Spa was built in 1763 and stakes its claim as the world's oldest casino. The Casino de Spa is easily reached from the Radisson Blu Palace Hotel, Spa. Explore all the attraction of the area from this ideally located hotel, including Liège and the Spa-Francorchamps Formula 1 racetrack. 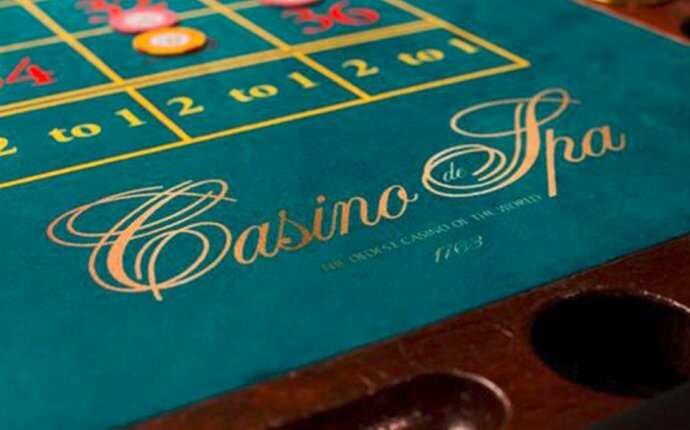 Visitors to the Casino de Spa may wear casual attire, no formal jacket or tie is needed. Players must however be over the age of 21. The casino offers games such as slot machines including electronic roulette. There are also live game tables with two beautiful old French roulette tables operating each night. There are also blackjack tables and poker games freely available for players to join. The casino also has a restaurant with a large terrace offering panoramic views of the city. La Brasserie du Casino is newly refurbished and is now open from 4pm until midnight on weekdays and until 2am on Fridays and Saturdays. For those who enjoy gaming or even for history buffs a visit to this casino, now celebrating its 250th anniversary is a must. Belgium is a small country full of quaint historical towns, beautiful scenery and gastronomic delights. And thanks to the small size of Belgium much of the region can be toured and enjoyed in a relatively short time compared to larger more spread apart destinations. The Radisson Blu Palace Hotel, Spa is the perfect place to start your adventure. Take the waters and relax before heading off to Liège, Brussels and beyond.